It’s been a little while since I’ve raced a 10km without it being off the back of a 1500m swim and 40km bike ride. 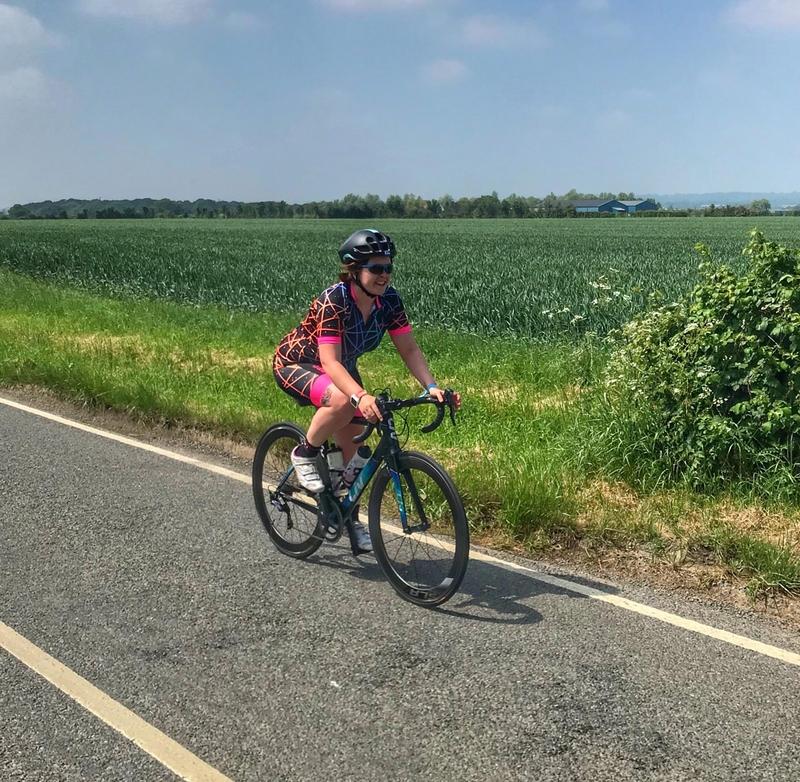 I fancied finding a flat course to see if I could achieve a PB for the distance. I’ve been working a lot on my speed over the past few months, so I hoped to see an improvement on my current PB of 56:30. The Regent’s Park Races are held on the first Sunday of every month, from April to September in the closed confines of the park. With a flat course and an awesome medal, this race was definitely in the diary! Glen and I registered on the day and used the bag drop and toilets in The Hub, which was being used as the race HQ. We made our way over to the start line and listened to the briefing from the race director who is always amusing- I remember him from the Olympic Park 10km earlier this year. The course was three laps, so I aimed to run each one in 18 minutes or less, and generally keep my pace at sub-9 minute miles for as long as possible. I started my Garmin a little early, we were not exactly sure where the start line was… it’s a little confusing as you cross the finish line before the start line. I love running in the Royal Parks, the location is beautiful and there is buzz about being in central London. Even though I was pushing myself, I wanted to enjoy the course and take in the surroundings- watching squirrels scampering across the grass and hearing monkeys screeching as we ran past the zoo. I also saw Laura cheering and waving from a bench, which was a nice surprise! The course was very flat with only slight inclines and the paths were wide enough to accommodate all the runners. My first two miles were at 8:15min/miles, so I knew I’d got off to a great start. I passed the 5km marker in a personal best time, 25:50 if I remember right. I felt good so kept on pushing for the second half of the course. Water was being given out after each lap, so I walked a few steps to drink a cup then picked it up the pace again. I run without music so I tried to focus on my breathing, my posture and my form. My abs were aching from Friday’s PT session, but other than that my legs felt strong. The weather was getting warmer and the sun was shining as I finished my final lap. 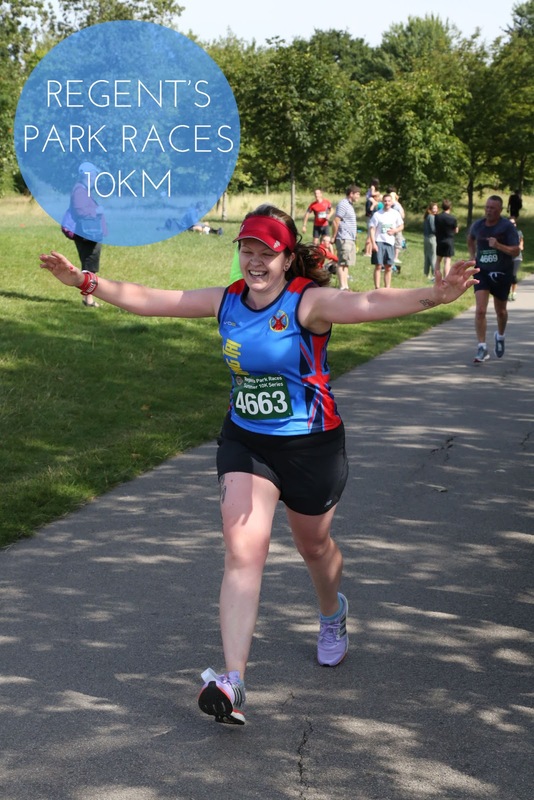 As I approached the finish line, the race director shouted to put my arms in the air- so I did! I was over the moon to receive my chip time of 53:56- much quicker than I had hoped. A huge PB of 3:26 minutes! The medal is fantastic- a London Underground sign which conveniently matches my club kit in blue and red! We also got a flapjack and banana at the finish line. 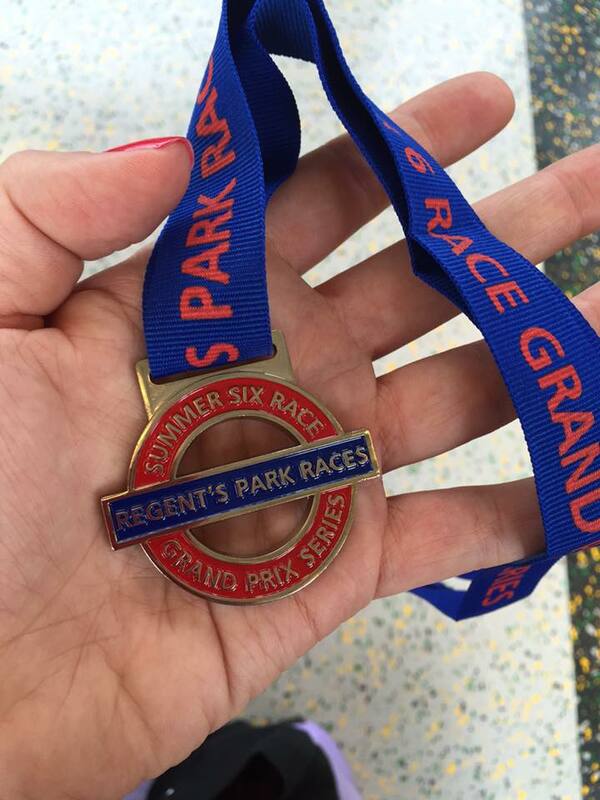 I’d really recommend the Regent’s Park Races for a flat, fast and affordable 10km. Entry was £17 (unaffiliated) and the course was well organised. It would be a good one to race every month, to see improvements over the course of the six events. Glen finished in 42:46- speedy as ever! 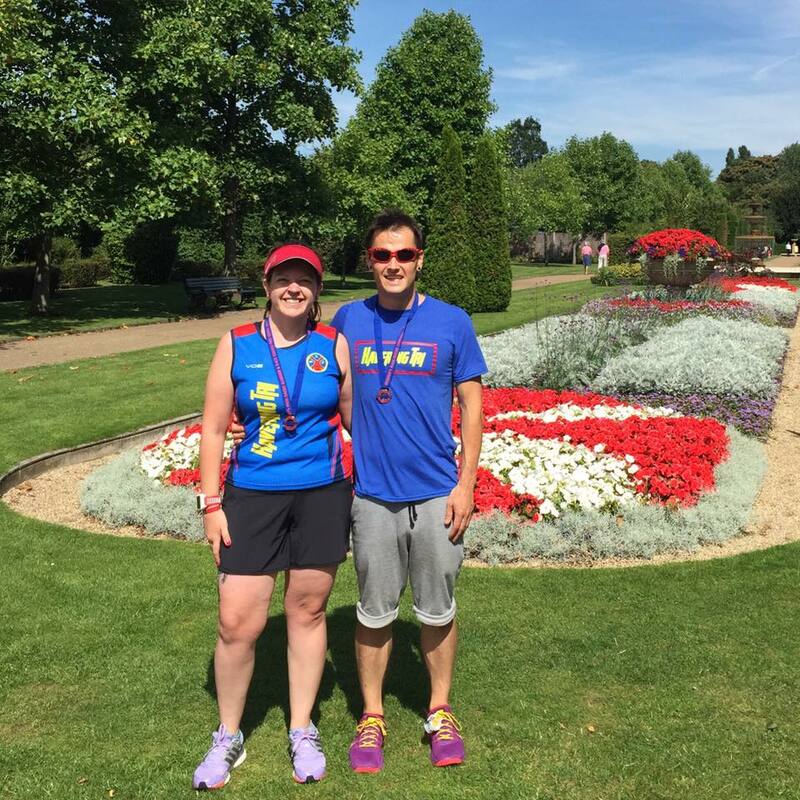 After the race, we wandered around the park posing for photos by the gorgeous flowerbeds and enjoying the sunshine. Did you race this weekend? How did you get on?